One of the special events happening in Denver this summer is for anyone who appreciates a good meal. That means pretty much the entire town! Restaurant Week will take place later in August and it is meant to showcase over 200 Denver area restaurants by offering special menu items and discounted meals. It’s a great opportunity to try a new eatery and discover a different taste treat. You’ll feel a whole lot better taking time off to explore these restaurants when your home “to-do” list is taken care of. If you’ve put off clearing out the clutter from around your property, now is the time to spring into action with the help of Junk King. Junk King are the professional junk haulers who can do some pretty amazing things with regard to decluttering your home. All you have to focus on is what you want taken away. Stroll through your home to see what you could put on that junk removal list. Don’t leave any room out. Whether you’ve got something stashed away up in the attic or piled in a corner in the basement, it can all be taken away by Junk King. Yes, the Junk King crews will climb up and down those stairs as many times as it takes to get rid of what you want tossed out. e gone. These can be anything from an old swing set to a shed that is falling apart. Those are perfect examples of the kinds of things that Junk King can take apart for you and load up on their truck. Remember, you’re not doing any of the work. You don’t even have to lend Junk King any tools! They crew are always fully equipped. When the Junk King crew arrives as your property, they’re going to do a quick survey of all the stuff you want removed. They’ll then present you with an estimated fee based on how your junk will fit on the back of the Junk King truck. If it takes up half or the whole truck, you’ll be charged accordingly. What happens if your junk takes up more room than the estimate? You’re only going to be charged the estimated amount. That price is not going to change! For fair and fast junk removal this summer, Junk King is the only company to deal with. This entry was posted in Junk Removal This Summer In Denver and tagged Junk Removalm junk king on July 30, 2014 by Paul Durant. Last updated August 1, 2017 . The list of amazing things that our parents do for is long and ever expanding. There’s all that early year stuff we’re too young to remember. The late night feedings, the diaper changes… pretty much everything until we hit our teen years is handled by mom and dad. After that, we have a little more independence. We can microwave our own meals and maybe even drive ourselves to school. But still, all the “food, shelter and clothing” comes from mom and dad. Although we should be thanking them every day, there is one specific Sunday set aside as Parent’s Day. The goal is to put the focus on the mom and dad unit as a team and give them a day where they feel truly appreciated. Beyond breakfast in bed (which is always a good way to start), you could set them up with a clutter free house. Does this mean you’ll be giving up your weekend to haul away the junk? Not at all. That’s what Junk King is for. 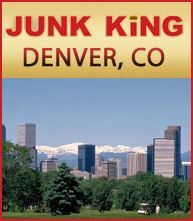 Junk King is part of a national franchise of junk removal experts. They are the type of company that makes a difficult task seem easy. In this case, the task would be finally removing all the rubbish and junk that has been piling up around your home for the past several years. This is the type of job that requires at least two capable movers and a truck big enough to handle lots of junk. That’s just what you’ll be getting when you arrange a junk removal appointment with Junk King. If you want, you could surprise mom and dad with a garage or basement cleanout. You know what needs to be tossed out, right? When the Junk King crew shows up for the appointment, just let them know what has to go. They’ll bring anything up from the basement or down from the attic. The Junk King crew can also do a sweep around your yards to remove any debris leftover from the last storm. Pretty much any bulky item that is too big for the weekly trash pickup can be taken away by Junk King. 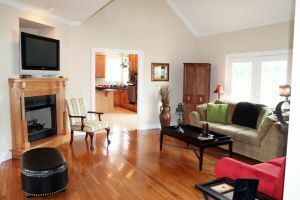 How great will it be for mom and dad to come home to a clean house? That is one last thing they’ll have to deal with! Junk King is standing by to make your junk removal project happen ASAP! This entry was posted in The Perfect Parents Day Gift Denver Junk Removal and tagged Junk King, junk removal, The Perfect Parents Day on July 19, 2014 by Paul Durant. Last updated August 1, 2017 .